cuba hurricanes .org - Cuba Hurricanes, Historic Hurricanes Cuba. cuba hurricanes .org - Cuba Hurricanes, Historic Hurricanes in Cuba. Real-time reports of current hurricane threats to Cuba provided from our office in Old Havana. Also information on hurricanes of historical significance to Cuba. Sunday, 2017-09-10 09.00GMT – Ever since making its landfall on Cuban territory on Friday night (local time), hurricane Irma has lost very little of its power, subsiding from 150kmh to 120kmh. Despite being downgraded to category 3 hurricane, Irma has caused 'significant damage' to Caribbean nation according to the Cuban officials, although detailed reports and casualties were not confirmed yet. What is known that heavy rain and storm surge with waves over 7m high have been reported in the areas from Camaguey to Ciego de Avila with some coastal flooding. Most of the roads and streets in Villa Clara province have been obstructed by fallen trees. As expected, the electricity in this region is still cut off. Even in the city of Matanzas, which is close to famous tourist site Varadero, some sea penetration in low lying areas have been reported. Over million people in this areas have been evacuated. Some small settlements close to the north coast are inhabitable now due to heavy flooding. As far as capital Havana is concerned the most affected area is along Malecon, city's famous sea front. Some 7000 people who live there have been evacuated into the shelters. At the moment of writing this report, Havana is being struck with heavy winds and hard rain. Some areas have lost electricity and there are some reports of flooding in the houses close to Malecon. The winds are around 75 kmh. KEEP VISITING THIS WEBSITE FOR REGULAR UPDATES ON HURRICANE IRMA. Saturday, 2017-09-09 12.00GMT – Irma has been downgraded to a Category 4 hurricane, with sustained winds weakening a bit at 130 mph (200 kmh). The speed of Category 4 Hurricane Irma's maximum sustained winds slowed to 130 mph Saturday morning as it slammed northern Cuba, but the storm is expected to regain strength later on. Still no report from the country about damage or casualties, however, according to the Hurricane Tracker App - Cuba 'has taken a beating'. Saturday, 2017-09-09 06.00GMT – The predicted path for hurricane Irma proved wrong for the worse and this morning, around 03.00GMT, the storm made landfall on Camaguey Archipelago. At that time the hurricane had sustained winds of 257. km/h (160 mph), while the eye of the storm was located some 200km (125 miles) from touristic peninsula of Varadero. Some communities have lost power, and communication is becoming increasingly difficult with towns in more remote areas while hurricane warning continues to be in effect in the provinces of Camaguey, Earlier, people tried to secure their roofs and move belongings from low-lying coastal areas to higher ground. The horrors of other Caribbean islands started to resembled the cuban north coast as Irma barreled in for a direct hit at Ciego de Avila province around midnight local time. Meteorologists warned that by Saturday morning, scenes of far greater devastation were sure to emerge as Irma worked her way along the northern coast westward through Sancti Spiritus and Villa Clara provinces. This is the first time that a category five hit Cuba in decades. Friday, 2017-09-08 20.00GMT – Hurricane Irma lashed Cuba and is still bashing central and part of its northern coast as it is driving toward Florida. Eye of the storm was away from the mainland, to the north of the country, which means the population has escaped the destiny of other Caribbean islands with more of tropical storm than hurricane conditions. Nevertheless, it produced some serious windy conditions and waves which caused coastal flooding in lowlands from Gibara to Baracoa. The winds were strongest in Guantanamo region where weather station in Punta de Maisi recorded the speed of 94 kilometers per hour (60 miles per hour). The reports of fatalities and damages are still to be collected. As soon as they are made we shall publish it. Friday, 2017-09-08 16.00GMT – An extremely dangerous Hurricane Irma hurtled toward Cuba and the Bahamas on Friday after leaving a trail of devastation in the Caribbean. Irma, downgraded to Category 4 storm with sustained winds of 150 mph, slammed the Turks and Caicos archipelago early Friday before its powerful core headed between northern Cuba. At 6:00am local time (10.00 GMT) the eye of the storm was located at 21.8 degrees north and 74.0 degrees west, some 168 kilometers north of Punta de MaisÃ­ in GuantÃ¡namo, and 180 kilometers east-northeast of Punta Lucrecia, HolguÃ­n. The storm's minimum pressure rose to 925 hectoPascal and it continues moving northwest at 26 kilometers per hour. Given Hurricane Irmaâ€™s proximity to the island, it was decided to establish the Alarm Phase for the provinces of GuantAnamo, Santiago de Cuba, Granma, HolguÃ­n, Las Tunas, CamagUey and Ciego de Avila; the Alert Phase for Sancti SpÃ­ritus, Cienfuegos and Matanzas; and the Informative Phase for the provinces of Mayabeque, Havana and Artemisa from 11:00am local time Villa Clara remains in the Alert Phase, except the municipality of Caibarien, which is now in the Alarm Phase. The population is advised to keep informed about the progress of this hurricane, through the tropical cyclone warnings issued by the Institute of Meteorology and the Civil Defense guidelines, and to comply in a disciplined manner with the measures indicated by local authorities. Thursday, 2017-09-07 03.00GMT – After devastating Barbuda and St Martin island and causing more than considerable damage to Puerto Rico, Irma – category five hurricane – is currently north of the Dominican Republic and heading in the direction of Cuba and Florida. Being already named the strongest Atlantic storm ever, the hurricane has lost very little of its power, 300km/h strong winds and it is expected to sustain this strength for quite some time. Although eye of the storm is predicted to miss mainland of Cuba, some tropical storm conditions are expected to begin tonight (local time). A Hurricane Watch is in effect for the following Cuban provinces: Guantanamo, Holguin, Santiago de Cuba, Las Tunas, Camaguey, Ciego de Avila and Sancti Spiritus. It might be extended to few more depending on the path of the storm. Friday, 2016-10-07 12.00GMT – Hurricane Matthew hit Cuba late Tuesday night and hurtled through eastern Cuba for most of Wednesday until the eye of the storm, along with the strongest winds, departed its coast late Wednesday and move onto the US. The hardest hit region was eastern Guantanamo where towns of Baracoa and Maisi were heavily punched with the full force of category 4 storm. First reports indicate that almost 90% of the houses in the area are either destroyed or not livable anymore. Thankfully, there are no casualties reported so far. Aftermath of hurricane Matthew in Baracoa as captured by Mike Theiss, photographer of National Geographic. In Baracoa, the huge amount of rubble dominates the landscape close to the seafront. Barely any windows are left on the nearby buildings, private possession are scattered everywhere and the whole scene looks quite apocalyptic. Weeping residents standing next to what used to be their home is a common sight. Baracoa is nation's oldest and most historic town. Reportedly, Chistopher Columbus set his foot here and it was first city that Spanish conquistadores settled in. Many buildings in the area dated all the way back to the 16th century. These facts make it even more heartbreaking for residents to take. KEEP VISITING THIS WEBSITE FOR REGULAR UPDATES ON HURRICANE MATTHEW. Thursday, 2016-10-06 12.00GMT – Late Wednesday night the Cuban officials discontinued hurricane warnings for Cuban regions in the East of the country. The first reports shows that the biggest impact was felt in the easternmost town of Baracoa and surrounding areas. Nearly 380.000 people were evacuated from this part. According to the first Pentagon reports the US Navy at Guantanamo Bay has suffered minimal damage. Wednesday, 2016-10-05 12.00GMT – Late Tuesday night (Eastern Daylight Time) hurricane Matthew pounded eastern Cuba, somewhat weakened after it had devastated Haiti. It was still category 4 storm when it hit Cuba, although couple of hours later it was downgraded to category 3. Initial report from state Cuban media suggested that the island has not suffered as it was expected. Nevertheless, tourist city of Baracoa felt the full impact and the reports of damages in that area are still to come. Nearby US Guantanamo Naval Base has evacuated women, children and pets. Santiago de Cuba, cuban second largest city was not badly hit, it was reported on local news. Tuesday, 2016-10-04 15.00GMT – As part of the preparations for hurricane Matthew the Cuban government has evacuated more than 38,000 people in Baracoa, Guantanamo province. The most vulnerable have been prioritised and move to state institutions, churches and solid houses which are expected to resist the strength of the storm. Tuesday, 2016-10-04 12.00GMT – Category 4 Hurricane Matthew is nearing Haiti although some of its side winds are already felt there at the time of this report. Some unofficial sources have claimed that even some fatalities had occurred. After passing through Haiti, it is expected that Matthew will hit eastern Cuba sometime around midnight today. It is also forecasted that the storm will lose very little of its strength. Hurricane warning is in effect for Cuban provinces of Guantanamo and Holguin, which are expected to be affected most by the storm, as well as Santiago de Cuba, Granma and Las Tunas. Province of Camaguey is currently on Hurricane Watch. Monday, 2016-10-03 12.00GMT – Hurricane Matthew, the most powerful Atlantic tropical storm since 2007, has been continuing its travel towards Haiti, Jamaica and Cuba. 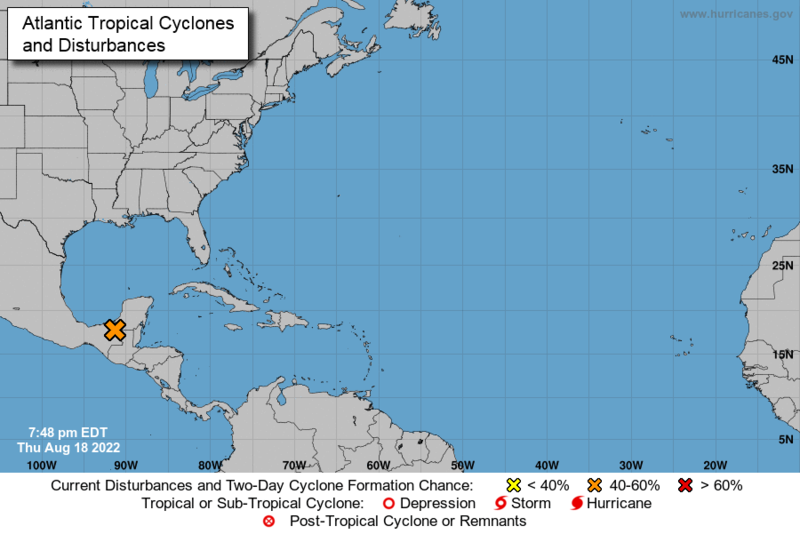 Despite being downgraded to category 4 hurricane late on Saturday morning GMT time, the storm hasn't lost much of its power since then and is considered an extremely dangerous hurricane which is expected to exert a devastating blow. If some forecasters are to be believed the eye of the storm will go straight through the Cuban city of Imias in Guantanamo province. In the same region, the US government has began to evacuate some residents from its naval base at Guantanamo Bay. Hurricane Watch is well in effect in eastern Cuba, although it can be widen more to the central parts depending on the storm's movement. Saturday, 2016-10-01 11.00GMT – Hurricane Matthew continues to travel across the Caribbean but has weakened somewhat and now is category 4 hurricane; still very dangerous. It poses serious threat to Jamaica, Haiti and eastern Cuba. Impact on Cuba is expected early next week. The cuban officials havenâ€™t issued any hurricane watch as yet. Saturday, 2016-10-01 01.00GMT – Hurricane Matthew has strengthen considerably late Friday evening, and now is very dangerous category 5 hurricane. It is believed that it is the strongest storm since Hurricane Felix in 2007. A hurricane watch is now in effect in Jamaica. Hurricane Watch means that hurricane conditions are likely within next 48 hours and preparations for hurricane impact are being considered. Friday, 2016-09-30 16.00GMT – Hurricane Matthew has been upgraded to Category 3 and it is believed it will continue to strengthen. It will almost certainly hit Cuba sometime early next week, only with what force remains unclear. At the moment the Hurricane Watch in is effect in Jamaica and Cuba, although none of the officials have issued the Hurricane Warning. Hurricane Joaquin is battering Central Bahamas. As far as Cuba is concerned, there are some rainfalls expected over eastern Cuba, causing possibly dangerous flash floods. KEEP VISITING THIS WEBSITE FOR REGULAR UPDATES ON HURRICANE JOAQUIN. Hurricane Joaquin has become category 4 hurricane and is moving slowly to the north after battering Bahamas. Tropical Storm Watch is in effect for Camaguey, Las Tunas, Holguin and Guantanamo provinces. Hurricane Joaquin has reached Bahamas. Hurricane Watch in effect for Grand Bahamas. Cuban government has issued a Tropical Storm Watch for four provinces in Cuban Oriente. Tropical Storm Erika appears to be dissipating over Cuba. The government of Cuba has discontinued Tropical Storm Watch and Warnings. Some rainfall of its remnants is still expected though. KEEP VISITING THIS WEBSITE FOR REGULAR UPDATES ON TROPICAL STORM ERIKA. Predicted path of Tropical Storm Erika as of Saturday, 2015-08-29, 01.00 GMT. Tropical Storm Erika is still producing heavy rain over Haiti. The winds sligthly gain in speed - 80 km/h (47 mph). The storm is now only 100 km (65 miles) away from Guantanamo Bay in province Guantanamo. Tropical Storm Erika is pounding Haiti with heavy rain. The winds maintained the speed of 75 km/h (45 mph). The storm is now only 160 km (100 miles) away from eastern tip of Cuba (province Guantanamo). Tropical Storm Erika continued to soak the island of Hispaniola (Haiti and Dominican Republic) with heavy rain and gusty winds. The winds have decreased in speed, due to the landfall, and are now 75 km/h (45 mph). The storm is now only 235 km (130 miles) away from Cuban eastern coast. Tropical Storm Erika has made a landfall in Dominican Republic with heavy rain and gusty winds. The winds are still maintaining the speed of 85 km/h (50 mph). Predicted path of Tropical Storm Erika as of Friday, 2015-08-28, 08.00 GMT. Tropical Storm Watch issued for Cuba for the provinces of Ciego de Avila, Camaguey, Las Tunas, Holguin, and Guantanamo. The winds has not gained in speed, still 85 km/h (50 mph). The eye of a tropical storm Erika is approaching Dominican Republic. Heavy rain still affecting The Virgin Islands and Puerto Rico. The winds maintain the speed of 85 km/h (50 mph). The first casualties of tropical storm Erika have been reported. As it made landfall on Carribean island of Dominica yesterday, Erika caused mudslides that are blamed for death of four people. Heavy Rain and tropical storm conditions are still affecting Virgin Islands and Puerto Rico. The winds have increased to 85 km/h (50 mph), reported by weather station in Puerto Rico. Tropical storm Erika is nearing Dominican Republic. Tropical Storm Erika is spreading over Puerto Rico. Dominican Republic is on alert. The winds are still 75km/h (45 mph) with higher gusts. Some flooding is expected. The government of Bahamas has issued a Tropical Storm Warning, while the danger has gone for Anguilla, St.Kitts and Nevis and Montserrat. The winds have remained their speed of 75 km/h (45 mph) with higher gusts. The government of Dominican Republic has issued a Tropical Storm Warning. The winds have decreased in speed, they are now 75 km/h (45 mph) with higher gusts. It is expected to reach the land of Puerto Rico and Virgin Islands tonight. Tropical Storm Erika is nearing Virgin Islands and is expected to hit the land later today and Puerto Rico's soil some time tonight. The north of Dominican Republic is on its way and it will land there on Friday morning. The winds have maintain their speed at 85km/h (50 mph). Little change in strength is expected in the next 48 hours. Tropical Storm Erika has proved to be poorly organised, in another words - unstable and unpredictable. The winds have maintain their speed at 85km/h (50 mph). Little change in strength is expected in the next 48 hours. Predicted path of Tropical Storm Erika as of Thursday, 2015-08-27, 08.00 GMT. Tropical Storm Erika has reached land and is moving toward British Virgin Islands. The winds have slightly gain in speed and are now 85km/h (50mph). No actual reports about possible damages have been acquired as yet. Tropical Storm Erika will reach northern Leeward Islands in an hour or two. Forecasters express more concern about potential flooding than wind-related damages. Tropical Storm Erika is expected to hit Leeward Islands in matter of hours. The fact that it still has the same speed forces the conclusion that it is very disorganised storm. The possible damage is expected to be more of the heavy rainfall than sustained winds which are still at 75km/h (45 mph). The government of Dominican Republic has issued a Tropical Storm Watch for Tropical Storm Erika. The winds haven't gained in speed in the last 10 hours, still at 75 km/h (45mph). It is approaching Leeward Islands and is expected to produce heavy rainfall. Despite the prediction of remaining wind speed, Tropical Storm Erika has actually gained in speed to 75 km/h (45 mph). It is expected to hit the land (northern Leeward Islands) tonight, quite likely losing some strenght after. Tropical Warning has been issued for 13 nearby islands, including Puerto Rico, St. Kitts and Nevis and British Virgin Islands. Predicted path of Tropical Storm Erika as of Wednesday, 2015-08-26, 12.00 GMT. No changes of winds speed since the last report. It is 65 km/h (40 mph) and it is expected to remain like this for the next 48 hours. Tropical Storm Warning issued for three islands - Anguilla, Saba and St. Maarten. Tropical Storm Watch is in effect for another six of Leeward Islands along with Guadeloupe and, now, Puerto Rico. Winds slightly lost in speed, but still fairly strong. Tropical Storm Watch issues for Guadeloupe. Tropical storm watches in effect for 7 Leeward Islands. Winds slightly have gained in speed. Tropical storm Erika formed late Monday, about 1200 km west from Leeward Islands.